I’m sure you have figured out from all my recent posts that I LOVE Christmas time. I love the lights, and the festivities and of course the Christmas movies and shows. Some of my favorites are the Elf and A Christmas Vacation. We try and watch as many as we can with the kids. If you like to watch Christmas movies as well, you can check them out all month on the 25 Days of Christmas on ABC Family. I found the schedule this year online and wanted to share it with our friends, family and client. Here is the schedule for the rest of the month! 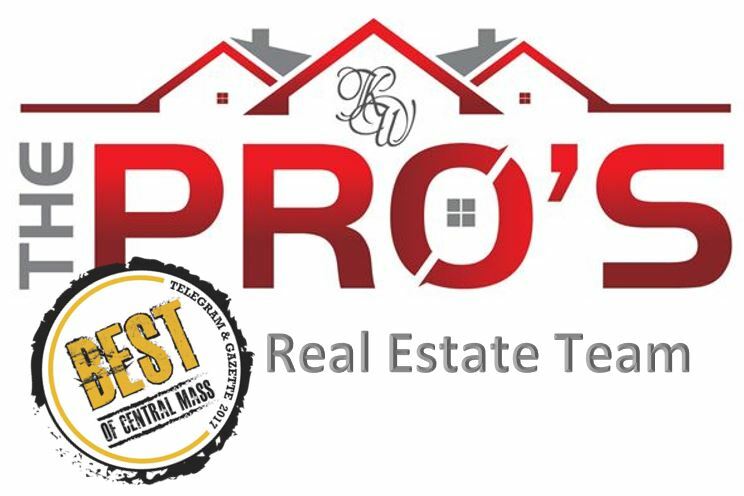 And please, don’t forget that if you are looking to buy or sell a home in Worcester County, to give The Pro’s a call! The Preacher’s Wife, 7 a.m.
Disney’s A Christmas Carol, 11 a.m.
Mickey’s Once Upon a Christmas, 1 p.m. The Life and Adventures of Santa Claus, 2:30 p.m.
Frosty’s Winter Wonderland, 3:30 p.m.
Rudolph and Frosty’s Christmas in July, 4 p.m. The Year Without a Santa Claus, 6 p.m. The Polar Express, 7 p.m.
Dr. Seuss’ How the Grinch Stole Christmas (live action), 9 p.m.
Rudolph’s Shiny New Year, 1 a.m. The Christmas Shoes, 7 a.m. The Frosty’s Winter Wonderland, 9 a.m.
Mickey’s Once Upon a Christmas, 11 a.m.
A Miser Brothers Christmas, 12:30 p.m.
Jack Frost, (animated), 1:30 p.m.
Rudolph’s Shiny New Year, 2:30 p.m.
Willy Wonka & The Chocolate Factory, 3:30 p.m.
Dr. Seuss’ How the Grinch Stole Christmas, 6 p.m. The Santa Clause, 8:45 p.m.
Christmas in Boston, 7 a.m.
Mickey’s Christmas Carol, 9 a.m.
Willy Wonka & The Chocolate Factory, 11 a.m. I Saw Mommy Kissing Santa Claus, 1:45 p.m.
Jack Frost, (live action), 4 p.m. The Santa Clause, 6 p.m. The First Christmas: The Story of the First Christmas Snow, 9 a.m.
Rudolph’s Shiny New Year, 11 a.m.
Rudolph and Frosty’s Christmas in July, 12 p.m.
Jack Frost, (live action) 2 p.m.
I’ll Be Home for Christmas, 4 p.m.
Santa Claus is Comin’ to Town, 6 p.m.
Rudolph’s Shiny New Year, 7 a.m.
Rudolph and Frosty’s Christmas in July, 8 a.m.
I’ll Be Home For Christmas, 10 a.m. The Year Without a Santa Claus, 3 p.m.
Santa Claus is Comin’ To Town, 4 p.m. The Polar Express, 5 p.m.
Dr. Seuss’ How the Grinch Stole Christmas, 9:30 p.m.
Tim Burton’s The Nightmare Before Christmas, 12:30 a.m.
A Very Brady Christmas, 7 a.m. The Holiday Heist, 9 a.m. The Year Without a Santa Claus, 11 a.m. The Little Drummer Boy, 12 p.m.
Disney’s A Christmas Carol, 12:30 p.m. The Polar Express, 2:30 p.m.
Tim Burton’s The Nightmare Before Christmas, 4:45 p.m.
Dr. Seuss’ How the Grinch Stole Christmas, 6:30 p.m.
National Lampoon’s Christmas Vacation, 10 p.m.
Home Alone: The Holiday Heist, 7 a.m. The Little Drummer Boy, 9 a.m.
National Lampoon’s Christmas Vacation, 6:30 p.m.
Disney’s A Christmas Carol, 4 p.m.
Frosty’s Winter Wonderland, 6 p.m. The Santa Clause, 6:30 p.m. The Polar Express, 8:45 p.m. The Little Drummer Boy Book II, 9 a.m.
Mickey’s Twice Upon a Christmas, 4:30 p.m.
Mickey’s Christmas Carol, 6 p.m. The Polar Express, 6:30 p.m.
Nestor, The Long Eared Christmas Donkey, 11 a.m.
Frosty’s Winter Wonderland, 11:30 a.m.
Mickey’s Christmas Carol, 2 p.m.
Mickey’s Twice Upon a Christmas, 2:30 p.m. The Little Drummer Boy, 4 p.m.
Rudolph’s Shiny New Year, 4:30 p.m. The Year Without a Santa Claus, 5:30 p.m.
National Lampoon’s Christmas Vacation, 8:45 p.m.
Frosty’s Winter Wonderland, 9 a.m.
Holiday in Handcuffs, 11 a.m. The Family Man, 1 p.m.
National Lampoon’s Christmas Vacation, 6:45 p.m.
Dr. Seuss’ How the Grinch Stole Christmas, (live action) 9 p.m. The Year Without a Santa Claus, 1 a.m.
Jack Frost (animated), 7 a.m.
Mickey’s Once Upon a Christmas, 8 a.m.
Mickey’s Twice Upon a Christmas, 9:45 a.m.
Emmet Otter’s Jug-Band Christmas, 12:15 p.m. The Year Without a Santa Clause, 1:20 p.m.
Santa Clause is Comin’ to Town, 2:30 p.m.
Mickey’s Once Upon a Christmas, 7 a.m.
Mickey’s Twice Upon a Christmas, 8:45 a.m.
Emmet Otter’s Jug-Band Christmas, 11:05 a.m.
Rudolph and Frosty’s Christmas in July, 12:10 p.m.
Toy Story 2, 6:45 p.m.
Toy Story That Time Forgot, 9 p.m.
Toy Story 3, 9:30 p.m.
Mr. St. Nick, 7 a.m.
Twas The Night Before Christmas, 9 a.m.
Frosty’s Winter Wonderland, 11 a.m.
Charlie and the Chocolate Factory, 11:30 a.m.
Toy Story 2, 4 p.m.
Toy Story That Time Forgot, 6 p.m.
Toy Story 3, 6:30 p.m. The Santa Clause 3: The Escape Clause, 8:45 p.m.
Charlie and the Chocolate Factory, 7 a.m.
Santa Baby 2: Christmas Maybe, 3 p.m.
Santa Claus is Comin’ To Town, 5 p.m. The Santa Clause 3: The Escape Clause, 6 p.m. The Little Drummer Boy, 10:30 p.m. The Family Man, 11 a.m.
Christmas in Boston, 2 p.m. The Year Without a Santa Claus, 5 p.m. The Polar Express, 8:15 p.m.
Nestor, The Long Eared Christmas Donkey, 10:30 p.m. The Family Man, 7 a.m. The Preacher’s Wife, 1:30 p.m.
Disney’s A Christmas Carol, 8:45 p.m. Snow 2: Brain Freeze, 2 p.m.
Disney’s A Christmas Carol, 4:15 p.m.
Disney’s Prep & Landing, 6:30 p.m.
Disney’s Prep & Landing: Naughty vs. Nice, 7:00 p.m. The Santa Clause, 7:30 p.m. The Santa Clause 3: The Escape Clause, 9:45 p.m.
Rudolph’s Shiny New Year, 9:30 p.m.
Jack Frost, (live action), 10:30 a.m.
Rudolph and Frosty’s Christmas in July, 12:30 p.m.
Frosty’s Winter Wonderland, 2:30 p.m. The Year Without a Santa Claus, 3:00 p.m.
Santa Claus is Comin’ to Town, 4:05 p.m. The Santa Clause, 5:15 p.m. The Santa Clause 3: The Escape Clause. 7:30 p.m.
National Lampoon’s Christmas Vacation, 9:45 p.m.
Rudolph’s Shiny New Year, 7 p.m.
Jack Frost (live action), 8 a.m.
Disney’s A Christmas Carol, 12:45 p.m.
Tim Burton’s The Nightmare Before Christmas, 3 p.m. The Santa Clause 3: The Escape Clause, 4:45 p.m.
National Lampoon’s Christmas Vacation, 7 p.m.
Mickey’s Christmas Carol, 11:30 p.m.
Disney’s A Christmas Carol, 9 a.m.
Tim Burton’s The Nightmare Before Christmas, 11:15 a.m.
Rudolph’s Shiny New Year, 1 p.m.
Frosty’s Winter Wonderland, 2 p.m.
Santa Clause 3: The Escape Clause, 2:30 p.m.
Jack Frost (live action), 2:15 p.m. The Year Without a Santa Clause, 4:30 p.m.
Santa Claus is Comin’ To Town, 5:30 p.m.
Holiday in Handcuffs, 9 a.m.
Santa Baby 2: Christmas Maybe, 1 p.m.
Santa Claus is Comin’ to Town, 3:15 p.m.
Rudolph and Frosty’s Christmas in July, 4:15 p.m.
Frosty’s Winter Wonderland, 6:30 p.m.
Mickey’s Christmas Carol, 7 p.m. The Santa Clause 3: The Escape Clause, 7:30 p.m.
Rudolph and Frosty’s Christmas in July, 7 a.m.
Home Alone: The Holiday Heist, 11 a.m. The Nightmare Before Christmas, 3:15 p.m.
Disney’s Prep & Landing, 5 p.m.
Disney’s Prep & Landing Naughty vs. Nice, 5:30 p.m.
Nestor, The Long-Eared Christmas Donkey, 11 a.m.
Santa Claus is Comin’ to Town, 11:30 a.m.
Tim Burton’s The Nightmare Before Christmas, 12:30 p.m.
Santa Clause 3: The Escape Clause, 2:15 p.m.
Toy Story That Time Forgot, 4:30 p.m.
Harry Potter and the Sorcerer’s Stone, 7:15 p.m. If you are thinking about buying a new home for the New Year, take a look at these great homes for sale.